The only way to do great work is to love what you do. When the power of the Love overcomes the love of power, then you will have find your inner calling. You need to have dreams, but dreams without goals are just dreams and ultimately fuel disappointment, do have a dream but have a goal, discipline and working hard to reach it. President FDR said: The only thing you should fear is fear itself. What is important is we do not plan to fail, we fail to plan. The journey of a thousand miles begins with a single step. So, take the first step. You have a choice, will you wither or will you thrive, only time will show and the effort you put it in. President Theodor Roosevelt said I believe in men who take the next step not the one who theorized the next two hundred steps. Be the changes you want to see in the world. Let’s change the passion to action. I never imagined that the Berlin wall would come tumbling down, but some passionate people did. What sorts of thing are you passionate about, that you feel you could make a difference in the world? Follow your heart with vision and actions. It will end up satisfaction. President FDR, when announced the new deal, he said, “this country demands bold persistent experimentation. It is common sense to take a method and try it and if it fails, admit it frankly and try another but above all try something. You cannot connect the dots looking forward, you only can connect the dots looking backwards. Trying something has been an important milestone in the world. Let’s look at Malala Yusefi, a young brave woman who was shot because she wanted to be educated (a universal right became a crime). Mathew Goniwe, from a small village in South Africa, changed South Africa forever. Persecution on account of race, religion nationality, membership in a social group, or political opinion and gender – that is the thing America stands against, and time after times lawyers, judges, and our judiciary systems tackle these evils of our time with Brown vs Board of education, Barnette vs West Virginia State Board of Education, Miranda vs Arizona, Gideon vs Wainwright… and many others that make the world proud of its American judicial system. Thank you to you all the lawyers and professors defending the defenseless. America stands for the fact that it does not just aspire people to make a living, but it aspires to make a difference in the life of people. President Reagan said, Freedom is not the sole prerogative of a lucky few, but an inalienable right and the universal right of every human being. Free people are worthy of freedom, and determined not only to remain so but to help other to gain their freedom as well. “Noblesse oblige” is that responsibility. There are seized opportunities and lost opportunities. Seize it. We stand at the altar of democracy, let’s us stand together. United we can achieve everything, divided we can do nothing. To Improve is to change, to Perfect is to change often. Heroes did not build this country; ordinary people being given half a chance are capable doing extraordinary things. Marbury vs Madison (John Marshall) brought us the power of judicial review and from the other side, Justice Taney brought us Dred Scott vs Sanford. There are times when circumstances may call you to risk your career in favor of your principles, you can go elsewhere for a job, but you cannot go elsewhere for a soul. Admiral William H. McRaven has been a great example of this. we need to be pioneers and renegades and not be paralyzed with the tyranny of now (what is popular rather than what is right). Instead of legislation we need education and to stand tall for liberty and democracy. 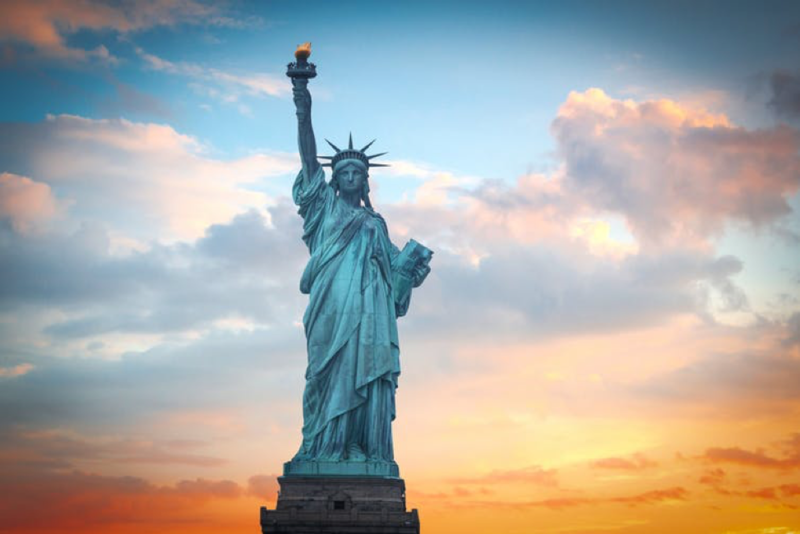 The only way to have a friend is to be one, America has been a friend to many as written at the statue of liberty: Give me your tired, your poor, your huddled masses yearning to breathe free. As Albertus magnus said about the friendship, the friendship between America and us is an honorable friendship.